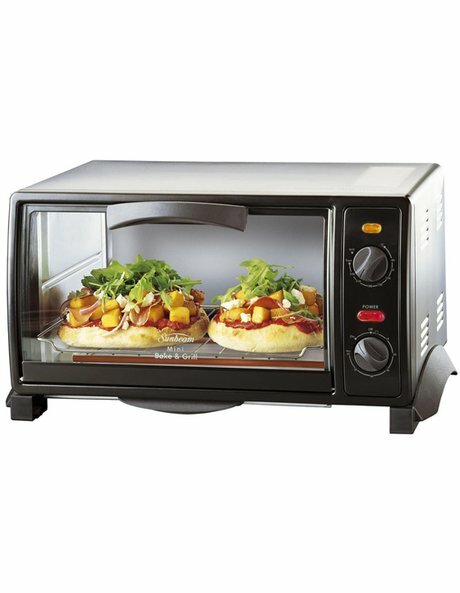 The ideal compact oven for a small kitchen. 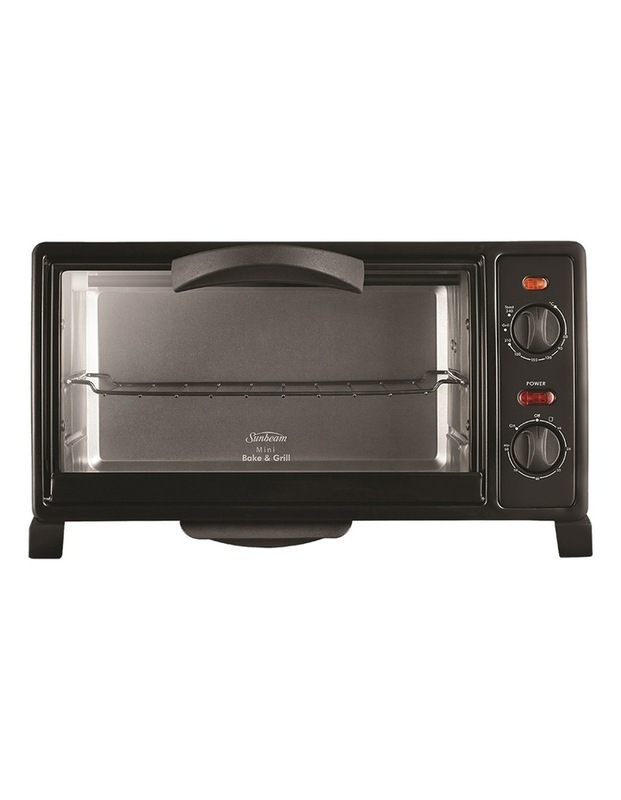 This Sunbeam Mini Bake & Grill Oven BT2600 takes up very little space, but packs a powerful punch when cooking. Can roast, bake, grill or toast, and its 9 litre capacity makes it perfect for a couple or individual. The appliance has a reheat function, a variable temperature control up to 240C, and features a 60 minute timer for automatic shut-off when cooking time ends. Cool-touch carry handles provide safety, while other features are a removable crumb tray, aluminium baking tray and reversible wire rack. Includes 12 month replacement warranty.